KOPLAYER APK Install is a permanent, free and no-Ads utility for your PC. You can download all applications of Google Play and synchronize to install them to your Android phones without limitation. You will enjoy needed applications with top speed and no mobile data usage. 1. Tiny size which is less than 10M. 2. Top-speed with global CDN acceleration. 3. High security as all applications are from Google Play. Following is the winner list. Congratulations to all lucky winner. We appreciate every word you have shared with us. Note: admin will keep in touch with lucky winners within 24hours. Please make sure that your account on our forum or email is available. 1. Click here to download KOPALYER APK Install. 2. Submit at least 1 effective bug about KOPLAYER APK Install here. 3. The bug should be submitted with description and screenshot. Click here to read the guide about How to upload images in the forum. 1. The first 20 participants will win Rp25, 000 Pulsa as a reward. 2. We will randomly choose several participants to give away free Pulsa. 1. The winner list would be released with 12 hours after the event. Please keep eyes on the post to get your reward. 2. The reward will be delivered with 12~48hours. Please be patient. Any question please contact admin. 1. The reward only goes to those who participate in the event as required. 2. Please read other’s bug before reply, do not submit the same bug repeatedly. 3. The reward will go to the one who submitted the effective bug first. Please visit here to get more rewards: Event 2: Submit Bugs of KOPLAYER Win Reward. 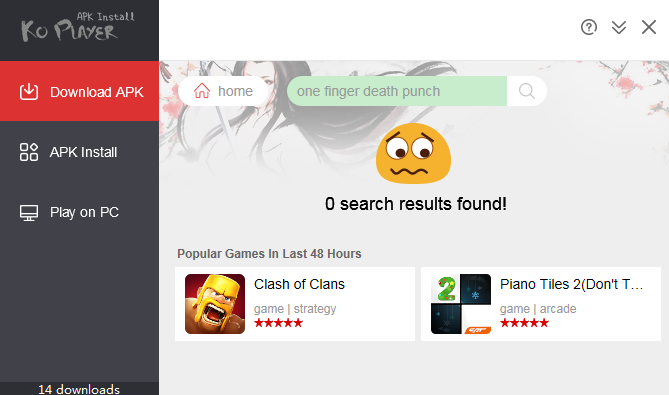 Failed to find one finger death punch. 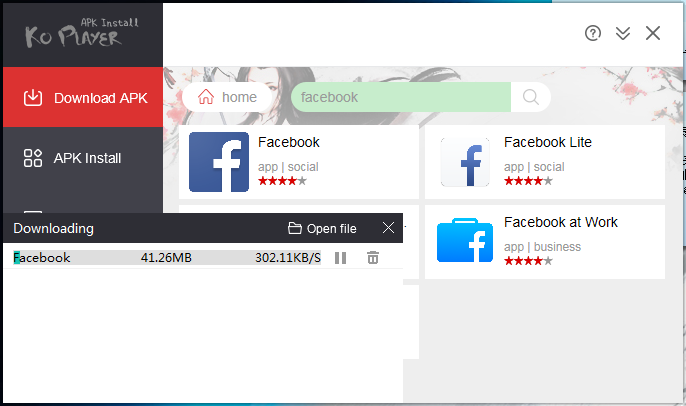 Bug1: The downloading speed is pretty amazing, but it stucked while download facebook. Bug2: I can't minimize the software. Bug3: There is no picture showing after I share the information of let's get rich in Facebook. Bug 4: When my friends visit the link I shared on facebook, it shows in an incompatible way in chrome. Thanks for your bugs. Got it. 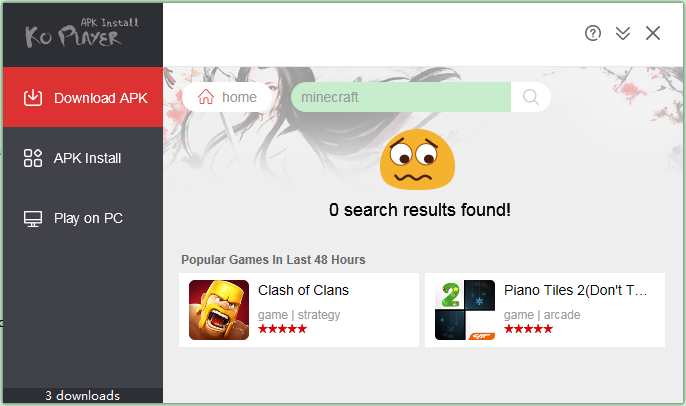 Bug: Why I can’t find minecraft? It’s classical, you know. add more recommend applications on the front page or display all apps by categories, like gp store. 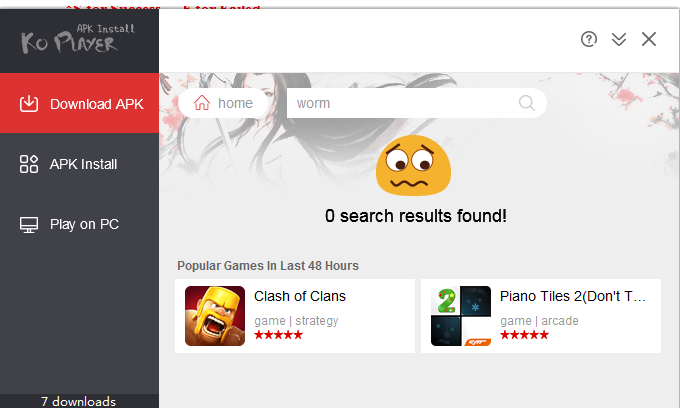 Sometimes, I just want to check if there are any new games, but did not get any update from it. 1 user thanked Redzster Putra for this useful post. We will add this game soon. Thanks for telling us about it. Thanks for your suggestion. If you find more apps like it, pls let us know. did u guys notice that the app is unavailable to download when u visit the page share on the facebook? That's what I got as a response. btw, this software only provides free applications? Thanks soooo much! We will correct this problem soon! It's illegal to provide paid apps for free ... want paid apps mate ? wipout your credit card and buy them. Could you please tell us who the publisher is? FJMustak ? got it... thanks for your reply! The actual download speed is not correct. With 200 KB/s i should finish the download not more than 10 minutes, but it takes more than 15 minutes. i cant find my Zenonia :( ! 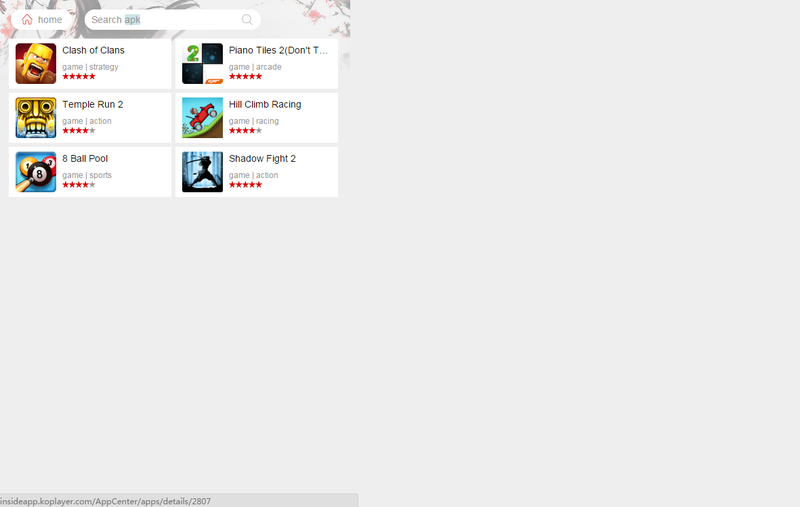 i cant find my favourite games! Many other factors will influence your speed. You can stop other software when download apps. And could you please tell us which game you can't find? The pic is too small too see. hi there. i accidently enter this page while browsing the page of piano tile 2, but do not know how to back to the home page. I have to reopen the software to visit the downlaod apk page again. 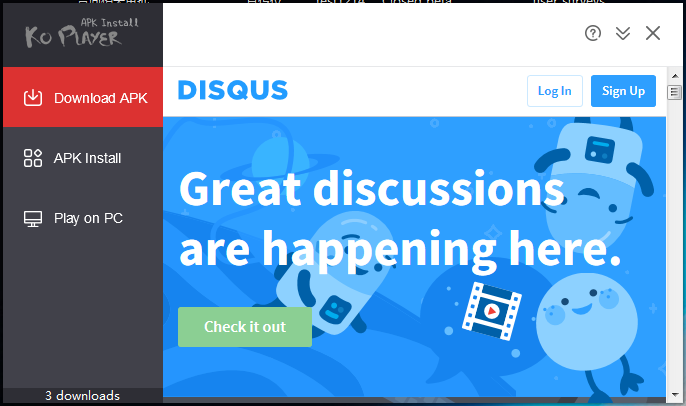 When I click community, it brings a new window. Thanks for your bug. We will test it on more PC and solve this problem.